In vitro amplification of the nucleic acids (DNA or RNA) is used in the detection of microbial agents and thus in the diagnosis of infectious diseases, as well as in the diagnoses of oncological and genetic disorders and forensic medicine. The aim of the present study was to compare the isolation methods of the nucleic acids of hepatitis B and C viruses, causative agents of the two significant infections worldwide. Conventional isolation methods were compared with the commercial kits that have been used commonly in recent years, in terms of reliability, cost-effectiveness, contamination risk and duration of the testing time. Five standards for the isolation of the viral nucleic acids of both HBV DNA (Fluorion HBV QNP 2.0) and HCV RNA (Fluorion HCV QNP 2.1) were used. The isolations of the viral nucleic acids of HBV and HCV were done with the conventional methods, phenol-chloroform and guanidine thiocyanate, and the commercial kits Roboscreen and NucleoSpin. The resultant viral nucleic acid load was determined with a spectrophotometer (WPA UV 1101, Biotech Photometer), and their amplification was conducted with Real-Time PCR. The results of the assessments revealed that the highest nucleic acid concentration were obtained with the conventional methods, while they exhibited significant drawbacks such as long duration of the testing time, difficulty in application, and higher contamination risk. HBV, HCV, PCR, spectrophotometer, amplification. 1. Saveci E. Prevalence Hepatitis B seroprevalence. Ministry of Health Taksim Training and Research Hospital Gynecology and Obstetrics Clinic. Family Medicine Specialization Thesis, 2006, İstanbul. 2. Hochberger, S., Althof, D., Gallegos de Schrott, R., Nachbaur, N., Röck, H., Leying, H. Fully automated quantitation of Hepatitis B virus (HBV) DNA in human plasma by the COBAS® AmpliPrep/COBAS® TaqMan® System. Journal of Clinical Virology, 2006, 35: 373-380. 3. 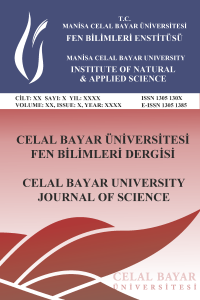 Şanlıdağ, T., Akçalı, S., Özbakkaloğlu, B.Serum hepatitis B DNA: stability in relation to multiple freeze-thaw procedures.Journal of Virological Methods, 2005, 123: 49-52. 4. Kidd-Ljunggren, K., Holmberg, A., Blackberg, J., Lindqvist, B.High levels of hepatitis B virüs DNA in body fluids from chronic carriers. Journal of Hospital Infection, 2006, 64: 352-357. 5. Beguiristain N, Robertson DH, Gómez J. RNase III cleavage demonstrates a long range RNA: RNA duplex element flanking the hepatitis C virus internal ribosome entry site. Nucleic Acids Research, 2005, 33(16): 5250-5261. 6. Berger A, Preiser W, Doerr WH. The role of viral load determination for the management of human immunodeficiency virüs, hepatitis B virus and hepatitis C virus infection. Journal of Clinical Virology, 2001, 20:23-30. 7. Chien HJ, Lee SD, Cheng TY, Yeh HS, Chou PW, Chen HP. A novel fluorescence quantification method for polymerase chain reaction system. Optics Communications, 2006, 266: 744-750. 8. Leb V, Stöcher Valentine-Thon E, Hölzl G, Kessler H, Stekel H, Berg J. Fully Automated, Internally Controlled Quantification of Hepatitis B Virus DNA by Real-Time PCR by Use of the MagNA Pure LC and LightCycler Instruments. Journal of Clinical Microbiology, 2003, 42(2): 585-590. 9. Simpson RP, Yu HX, Redza MZ, Anson GJ, Chan HS, Lin Y. Quantification of hepatitis B virus DNA using competitive PCR and a scintillation proximity assay. Journal of Virological Methods, 1997, 69: 197-208. 10. Sun R, Schilling W, Jayakar H et al. Simultaneous extraction of hepatitis C virus (HCV), hepatitis B virus, and HIV-1 from plasma and detection of HCV RNA by a reverse transcriptase-polymerase chain reaction assay designed for screening pooled units of donated blood. Transfusion Complications, 1999, 39: 1111-1119. 11. Fawcett WT. Isolation of high-quality large plasmid DNA. Focus, 1999, 21(1). 12. Chomczynski P, Sacchi N. Single-step method of RNA isolation by acid guanidinium thiocyanate-phenol-chloroform extraction. Analytical Biochemistry, 1987, 162: 156-159. 13. Akin A, Wu CC, Lin LT. A comparison of two RNA isolation methods for double-stranded RNA of infectious bursal disease virus. Journal of Virological Methods, 1998, 74:179-184.